A large selection of motivational videos based on the concepts within 'The Book Of Life Series' by Life Coaching Systems. The videos are intended to make You aware that You have within your power the ability to make whatever you want become real; this ability is limited only by the extent of your vision, by your ability to perceive in reality the things you have envisioned within your heart and mind. Life Coaching Systems produces inspirational and motivational videos to provide guiding themes to enable you to live a life worth living. Life Is Simply A Game: In life you may win or loose at times, it's basically just like playing a game; the right mentality is chancing the wheel of life by trusting and ensuring you will win just the same. Life Is Simply A Game Video shows that how you choose to control your world, as well as to what extent your desires are put into action, determine whether your life will meet your wishes or not. The Power of The Heart: You are more than the identity your brain creates, open up your heart and mind to the infinite wonderful experiences there are available in life. 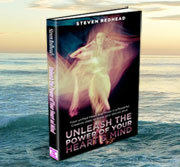 The Power of The Heart shows how to bring your heart power into play to create the things that you wish in your life through energising your desires with your heart energy. Start changing your reality today by setting your desires in motion by connecting to the heart consciousness. You are always at the cross roads of your life; each memento is a turning point, a time of potential change, that is governed by your decisions; in that brief instant whatever you decide to do will change the course of your life forever. The Laws of Creation is Ideal viewing for anyone who is searching for the answers to life's many mysteries. We are the creators of our own perceived reality. Don't be a creation of circumstances. Take full control of your destiny. 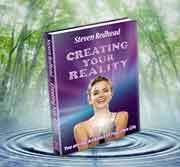 The Sensational new perspective on life Creating Your Reality is a richly-woven book about life and the indispensable ways to improve it. The way we think is the driving force that fashions our world thereby governing the kind of life that we live. Creating Your Reality The way you think is the driving force that fashions your world thereby governing the kind of life that we live. 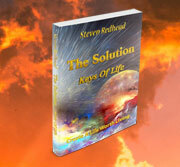 The Solution, Creating The Life You Deserve, is a richly-woven book about life and the indispensable ways to improve it. The Solution Your destiny becomes the accumulation of the choices that you make; the choices of which paths you took in life. Modern living has taken us far from the intended course of our life, intuition and desires offer directions on how to return to your true life path. Creating Your Dreams & Creating Your Destiny. Life is an open book as far as potential is concerned, the limits are self determined based upon what you are prepared to do to achieve the most ideal outcome. Each new day has endless potential, what can be achieved, what can be gained, and what differences can be made. The Solution gives insight into what the Laws of Attraction are really about; how to harness the power of creation within us to make life what you truly desire. 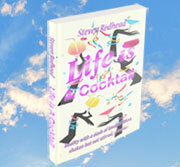 Gain insights into addressing life's issues, so that you can start to create the life you imagined and always wanted. The heart is natures most untapped resource generating more than just intuitive feelings and desires but also the conscious means to bring desires into reality. 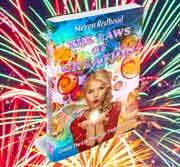 The Laws of Creation provides insight into The Secrets of what the Laws of Attraction are really all about; harnessing the power within each of us of to create the life that we truly deserve. Life was never meant to be serious, it was meant to be a joy. Creating Your Reality offers directions on how to return to your true life path; to finding your bliss, living a life that you truly deserve. The quality of life is always governed by the effort you put into giving life quality and meaning. In life you may win or loose at times, it's basically just like playing a game; the right mentality is chancing the wheel of life by trusting and ensuring you will win just the same. The course of life runs as smooth as you wish it to, or as turbulent as you are prepared to allow or persevere. Every day is an opportunity to realize the wonder that exists in the world. Life is indeed a game that we all play to pass time; simply a series of days strung together, made up of how you planned or decided to spend the moments. Like any game how well it is played or whether life's circumstances are interpreted accurately, then used to the best advantage, makes losers and winners to varying degrees.